We are one of the prominent manufacturers and traders of Commercial Mixer that comes with slow and high speed timer controller, safety grill, emergency stop and stainless steel arms and bowls. Our professionals make sure that these machines are made in adherence to the preset industry standards to ensure flawlessness. 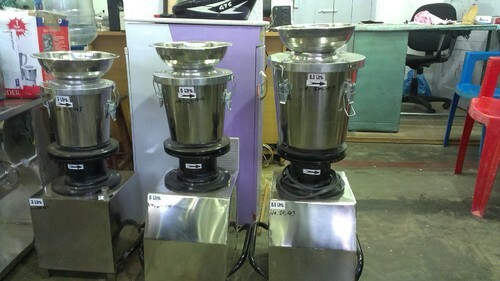 We are considered amongst one of the leading manufacturers and suppliers of this quality Commercial Mixie. For the purpose of maintaining this reputation, we use high grade raw materials and process the products through a number of quality checks. Used for the purpose of mixing various food grains and pulses, the speed, ease, and efficiency this product provides, leads it to the category of the elite.